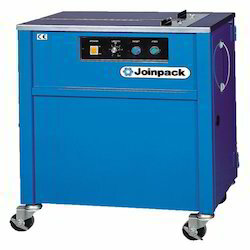 We are a prominent name in the industry engaged in providing the customers with a wide assortment of Strapping Machines. Under this range, we offer Semi Automatic Strapping Machines, Automatic Strapping Standard Model, Pallet Strap Machines, Automatic Model For Narrow Strap Features, Narrow Strapping with Compression and Automatic Strapping & Taping Combo Models, to name a few. The entire range is strictly manufactured as per the international quality standards using premium quality raw material and sophisticated technology. 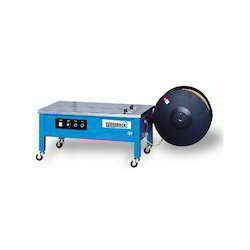 Driven with perfection, we are engaged in providing the customers with a comprehensive assortment of Semi Automatic Strapping Machines, used for general purpose. Manufactured using advanced tools technology, the range is appreciated by the clients for its attributes such as low power consumption, uniform tension, unbreakable joints and time manpower saving. Besides, the range is fabricated using premium quality raw material which is procured from the certified vendors of the market. Over the years of experience in the industry, we have been able to bring forth the clients a wide range of Semi-Automatic Low Height Models. Manufactured using advanced tools technology, the range is appreciated by the clients for its attributes such as low power consumption, uniform tension, unbreakable joints and time manpower saving. Besides, the range is fabricated using premium quality raw material which is procured from the certified vendors of the market. With the aid of modern tools and sophisticated technology, we have been able to bring forth the clients a wide range of Semi-Automatic Compact Model. Developed using premium quality raw material and advanced tools technology, the range is incorporated with a motor driving system for smooth functioning. Also, the range is known for automatic electronic tension controls, ball switch controls and power save auto shut-off mode. 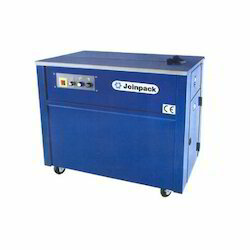 We also offer the range in tailor-made specifications as per the requirements of the customers. 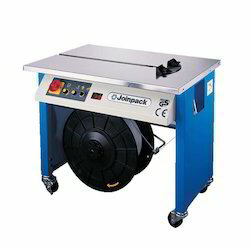 Owing to our expertise in this domain, we have been able to bring forth the clients a comprehensive assortment of Semi Automatic Strapping Machines. Designed in tandem with the international quality norms standards, the range is appreciated by the clients for its attributes such as low power consumption, uniform tension, unbreakable joints and time manpower saving. Besides, the range is known to have acquired an excellent image in the corporate world. 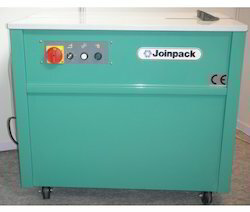 We are offering wide range of Semi Automatic Strapping Machines standard model in green color for general purpose industrial strapping.